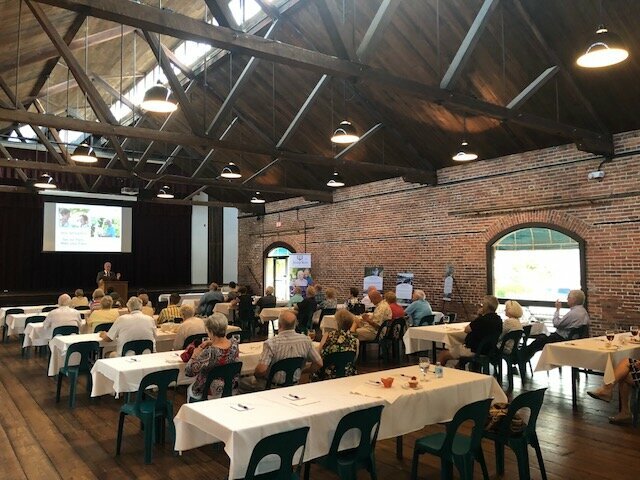 We enjoy every opportunity we have to tell others about SpringShire, and our Lunch & Learn at the Washington Civic Center on Tuesday, August 21st was no exception. SpringShire Developer and President of Retirement Living Associates, David Ammons, was there to share the benefits of moving to a Continuing Care Retirement Community and why it is a great investment in your future. If you would like to learn more about SpringShire, please contact us today! (252) 317-2303.